I am constantly amazed by how many people are teaching, learning, and performing squats incorrectly, but not at all surprised by the injuries this can lead to. There’s millions of athletes throughout the world who are embarking on training methods that are causing them injury over time. 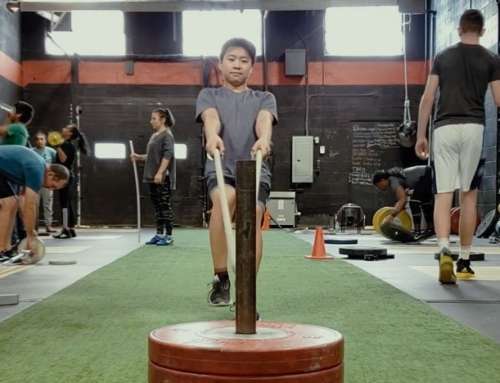 These athletes are often asked to perform slow-moving isometric-type exercises with isolation exercises that de-compartmentalize the way muscles, tendons, ligaments, and fascia work. Then, to make things even worse, the current trend in sports is to wrap or tape the joint that is weak rather than addressing the actual issue at hand. What is Being Taught as the Standard Squat? The above squatting method is foundationally wrong because it promotes mummifying the joints, specifically in the ankle. The authors makes no mention of the ankle joint and other major muscles involved such as soleus muscle, tibialis anterior muscle, Achilles tendon, elastic recoil. There are 33 muscles in the ankle and they each play a key role when squatting. Meanwhile, according to the Journal of Athletic Therapy, 45% of all lower extremity injuries are related to the ankle. This is alarmingly high. We see athletes in our facility who come from university football, basketball, hockey, soccer, and tennis programs with horrible joint mobility. Most of them are unable to bend properly and once we investigate why… injury history shows they’ve had knee surgery or chronic knee issues for most of their collegiate career. 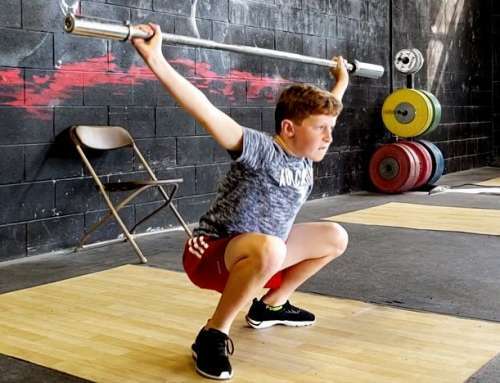 These injuries are usually caused by the NSCA squatting method above, which is not appropriate for athletes who play sports that involve high speed and rapid changes in direction, to do during their sport. If you restrict a joint by not using its range of motion for years, the muscle ligaments and tendons around that joint (in this case, the ankle) will become tight, weak, and short. Think of an elastic band – if you don’t use it, it gets dried up and eventually snaps. Similarly, when an athlete is in the field of play when he or she needs to use the springs that nature intended them to use, they will not be ready. This is because the athlete’s training has systematically put his/her perfectly fine-tuned springs out of their protective mechanism. This is an epidemic in sports right now. How Should I be Squatting? Contrary to popular belief, the squat is all about the leg spring—the unity, coordination, and harmony of the ankle, knees, and hips that include the 33 muscles of the ankle complex. It’s all connected. No hip hinging, sitting on boxes, leaning forward on purpose. You bend the knees, ankles, and lower the hips, or otherwise sit in a squat in unison, together in a coordinated, seamless sequence. Here is a squat compilation from the 2016 Junior Worlds Weightlifting Training Hall to illustrate what a proper squat should look like. This will help you properly use the elastic properties in your connective tissue and will fine tune your reactive mechanisms for sport performance. It will cultivate suppleness, mobility, flexibility and movement. Instead of doing thousands of mobility drills (I see new ones pop up everyday), everyone should just squat to the full range of motion. A simple method for developing suppleness and flexibility, which is often overlooked entirely is to perform a large range of motion resistance exercises with light weights. Exercises like split squats, full squats, muscle snatches, and overhead squats are perfect for this goal. 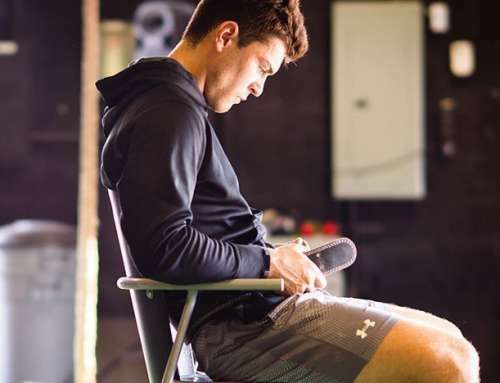 In other words, it is very likely that the reason you need mobility drills in the first place for your ankles, hips, and knees is that you have been squatting incorrectly. Basically, if you’re an athlete who depends on speed, power, and explosive changes of direction, you must train to that. This is crucial for injury prevention. If you are squatting incorrectly, your tissues are becoming increasingly tight, day after day, week after week, month after month, year after year. This is known as “contracture” a permanent state of muscle length different from what is considered normal. This time, think of a stretched out elastic band. Eventually, it will snap. After years of squatting incorrectly, you’re extremely prone to injury. This helps to explain the epidemic of ACL and MCL injuries, not to mention a ton of lower back injuries. Any injury means a huge drop in an athlete’s stock when it comes to being drafted, signed, and/or renewed. And as the experts, it is our fiduciary duty to prepare our members for their sports and minimize their chances of injury. All these braces, wraps, and tapes around the joints are masking the root issue and end up disrupting reactive protective mechanisms. The companies that make these and the healthcare professionals who prescribe them are making billions off your misfortune. We had one athlete who trained two off-seasons with another facility with a brace but wasn’t seeing improvement. His parents found us due to our reputation in the rehab space, and decided to trust us with their son. We advised him to take off brace, and strengthen the muscles around the area. It took many months, but he gained leaps and bounds just the first four months than he had in the two years previously. We’re not miracle workers, and I’m not bragging. I’m just pointing out that in most cases, as with this one, braces and wraps act as a crutch, excuse, and a security blanket, which killed this athlete’s ability to cultivate suppleness, mobility, and effortless movement. Our methodology is simple and backed by science. You may want to read the 3 components to coming back from injuries stronger. Even if you are not a football fan, spend a few minutes to take a look at Von Miller’s video below. The man can move, bend, and dance. He’s fluid and does not tape-up his joints as frequently as i’ve seen most football players of his calibre.